A New Year, a new venue & a new timetable for 2018. Hollyhock Cottage, 6 Jenner Street, Birregurra Vic 3242. Come & see our collection of restored, antique zithers or check out our new custom-made zithers. We offer attractive rent/buy options on all our zithers. Arrange a time for your FREE 1 hour lesson that comes with each purchase of our zithers. 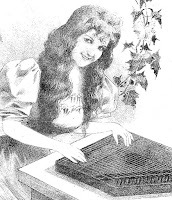 Private 1 hour zither, autoharp or music lessons. For those already up and Running with their Zithers we offer the following every Monday. 10am-12noon - One-on-one sessions by appointment. Covering anything from tuning help, music theory or playing instructions - $30 per hour.